One of the pivotal aspects of running your business entails the process of taking stock. Closely monitoring the progress of your business would help you plug the loopholes in your marketing strategy and significantly enhance your sales figures and ROI. Google has made all this possible with its quintessential service called Google Analytics that specifically caters to online marketers. Google Analytics is a flagship service from the Google stables that furnish accurate visitor data for an online enterprise. By registering for this service you would stand to gain comprehensive stats pertaining to the number of page views your site is receiving, the average time spent by each visitor, the total amount of visits etc. Additionally you can keep tabs on a variety of your marketing campaigns including email marketing and pay per click. View your visitors – Google Analytics provides comprehensive information on how many visitors your site is getting. This data is calculated within a specific time frame. In addition you can also get to know the geographical location of your visitors as well as how they find you and the keywords they used to locate your website. Computers used by your visitors – Using Google Analytics you would be able to learn details about the monitor resolution of your visitors computers as well as their Internet speed. These details would help you optimize your website and make it universally compatible so that they can be viewed by any user. Bounce rate and page views – Google Analytics allows you to view such intricate details such as how many page views your site received, the average time your visitors spent on your site as well as the bounce rate, which is the time taken by your visitors to move from one web page to another. Google Analytics is a free service. Simply visit the website and click on the “Access Analytics” button and then click “Add a new account”. Once you are done signing up, install the tracking code by copying it and pasting it to your website. 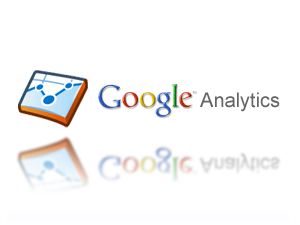 Your Google Analytics is now officially up and running. After a couple of days you would be able to gain valuable data regarding the visitors to your website. Track your campaign ROI – Google Analytics helps you to comprehensively track the ROI obtained from your various marketing campaigns such as pay per click, banner advertising, email marketing etc. Reports – GA furnishes you with customized reports in a format that caters to you. You can select the kind of report you want pertaining to a particular metric from a drag and drop interface. Multimedia and mobile tracking – Using Google Analytics you can track your mobile website as well as your mobile apps and any mobile device that is web enabled. Regulate your sharing capacity – Google Analytics gives you the liberty to control which data would be available to your profile visitors. You can also send personalized emails to your contacts containing regulated information that you want to share with them. In addition to the features mentioned above Google Analytics enables its users to integrate its service with other cutting edge Google tools such as Adwords, which help you keep track of your other marketing campaigns such as PPC. Using the data provided to you by Google Analytics, you can comprehensively monitor your online business and augment your marketing strategy to attract more visitors and convert them into potential customers. Chris Burns writes for Search Engine Optimization X, an organic SEO link building company.